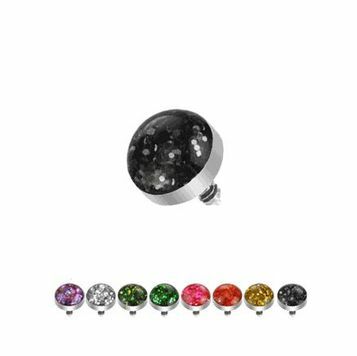 316L Surgical Steel Internally Threaded 4mm Glitter Dome Dermal Top. All One Piece Machine Cut. Fit Perfectly onto our Dermal Anchors. The colors available are purple, clear, green, light green, pink, red, yellow, and black.